Registration is required below for this class! Tips on overcoming roadblocks and setting attainable goals. 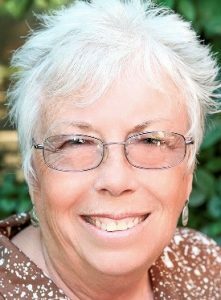 Genealogy instructor Karen Wente (pictured above) will present a FREE one hour class for new and intermediate genealogists wanting to learn different methods with your genealogy research. Karen works on her own genealogy, is an class instructor and genealogy column writer for 50 Plus Marketplace News. Public is welcome to attend! Please bring a relative or friend interested in enhancing their genealogy research.